Sonata à 2. 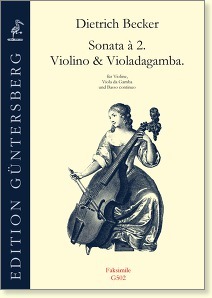 Violino & Violdagamba. Dietrich Becker was one of the best known violonists in northern Germany in the second half of the 17th century. His compositions can be compared to the instrumental works of Weckmann, Reincken, and Buxtehude, although the former show a stronger influence of the Italian composition style of the day. 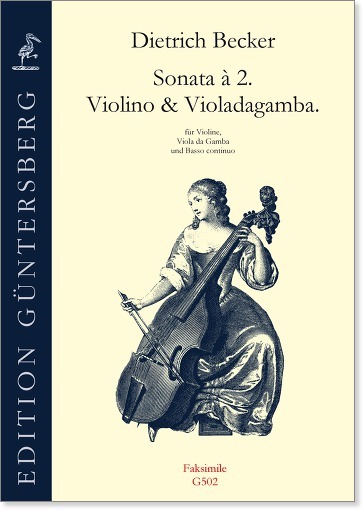 This Sonata is a little less demanding compared to the similar works by Erlebach and Buxtehude.